Faithfull The Brand's 'Elsa' jumpsuit will keep you cool while wandering the city or can be worn over a bikini for lunch. 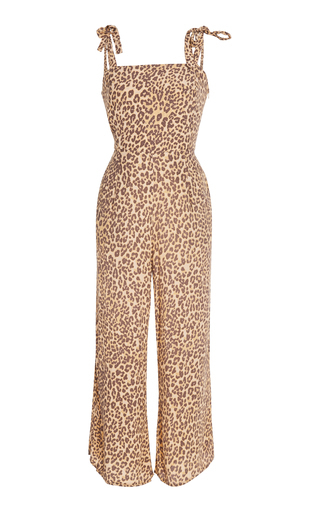 Made from leopard-print crepe, this one-piece has a shirred back that tempers the relaxed bodice, and falls to cropped cuffs. Adjust the shoulder straps to find your perfect fit.